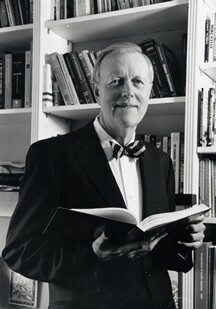 Thomas Patrick Burke was professor of religion at Temple University for twenty-nine years, taking early retirement in 1996. Originally from Brisbane, Australia, his initial interests were in science, especially physics, and he still retains a lively amateur interest in that field. In the course of time, however, his concerns became more theological. He studied at the University of Munich during the 1960s, completing a doctorate in theology with a dissertation on the nineteenth-century German theologian, Matthias Scheeben, then taught in the School of Religion at the University of Iowa. In 1965 he became director of the John XXIII Institute at Saint Xavier College (now University), Chicago, where in 1966 he organized a historic conference of the principal theologians associated with the Second Vatican Council, introducing the novel conceptions of the Council, in a series of original papers, to the United States for the first time. During this time he edited and published the conference papers under the title The Word in History (Sheed & Ward, 1966). He also arranged for Prof. Michael Schmaus of the University of Munich during a year’s residence in Chicago to produce a new version of his multi-volume Dogmatic for the English-speaking world and edited and translated it into English (published by Sheed & Ward in six volumes beginning in 1967). After a year spent doing research again in Munich, he joined Temple University in the fall of 1967. This led him to embark on the study of world religions, including field work in the Middle East and East Asia with summers in Iran, Hong Kong, Taiwan and Israel. In 1974 he published The Reluctant Vision (Fortress Press), an attempt to extend the field of the philosophy of religion, which till then was concerned with traditional Christian conceptions of God and the soul, to the study of world religions. This was followed by The Fragile Universe in 1979 (Macmillan), a study of the relationship between religions and cultures, based on his experiences in the field. It advances the thesis that religions embody their cultures of origin, so that an encounter between religions must be understood more broadly as an encounter of cultures: a thesis that has arguably some increased relevancy in the light of the current question concerning Islam and the West, and Samuel Huntingdon’s outstanding The Clash of Civilizations and the Remaking of the World Order, 1995, where related theses are argued. Around 1980, in consequence of researches in the philosophy of value, he began the study of economics. This eventually led him to conclude that the concept of the free market as developed by Adam Smith and more recent writers such as Milton Friedman has a sound basis in ethics, a view he elaborated in No Harm: Ethical Principles for a Free Market (Paragon House 1994). Returning to the field of religion, in 1996 he published a college-level textbook, The Major Religions (Blackwell), now used widely in the English-speaking world. In 2002, in response to the events of 9/11, he conceived of establishing a research institute concerned with the encounter between Western civilization with its concept of the free society and the traditional Muslim world. This has become the Wynnewood Institute. Since 2004 he has been occupied philosophically with the question of justice. In 2010 he completed a doctorate in philosophy at the University of Buckingham, UK, under Roger Scruton, with a thesis on justice. The resulting book was published by Continuum International in 2011 under the title The Concept of Justice: Is Social Justice Just? Prof. Burke is currently at work on a book tentatively titled Coercive and Peaceful Discrimination. His article “The Origins of Social Justice,” on the philosophy of Luigi Taparelli d’Azeglio, who coined the term social justice in the nineteenth century but with a very different definition from what it generally means today, was recently published in Modern Age (ISI Books).